This is his 39th article. Click here for his entire series. At the end of the first week of the slushy, Sochi Olympics, an incredible ice hockey game was played between the sides of the US and Russia. After being deadlocked in a 2-2 tie, the teams played five minutes of overtime and the score went unchanged. The US ultimately won in the Shootout phase by a score of 3-2. This win positioned the US to come in first in their pool and they were seeded number two going into the quarterfinals. The Americans are now favored to be one of the finalists in the Gold Medal game to be played in the concluding Sunday of the Games. On Wednesday, Finland eliminated the Russians 3-1 in the quarterfinals, so, there will be no rematch. This is the first contest between these hockey giants played on Russian soil since the shocking “Miracle on Ice” victory by the US in the 1980 Olympics in Lake Placid, NY. Every member of the current US team was born after that iconic victory. But, for dinosaurs like me, this tiff harkened back to that rumble during the Cold War. READ Crop Circles? 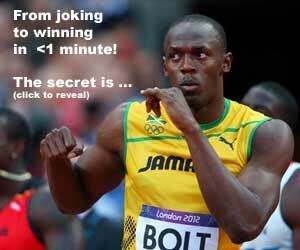 No, It’s Usain Bolt! While not the greatest National Hockey League fan, I love the International version of the game. The difference in the rules promulgates a global game where checking and physical mauling are minimized, dropping gloves and fisticuffs are virtually non-existent, and the true beauty of skating and strategy are emphasized. For me, it is like two different games. More important than the rulebook is the fact that the game is played on two different sized sheets of ice. The domestic NHL rules require a rink that measures 200’x85’ with the goals set only 11’ from the end of the rink. The International Hockey Federation [IHF] requires rinks that are 200’x100’ with the goals set 13’ from the end. That’s a remarkable additional 3,000 square feet of ice, or, the equivalent square footage of a good sized home. The NHL also had a “dirty little secret” for a number of years. “Two hundred feet” were not necessarily two hundred feet long. The old Maple Leaf Gardens in Toronto and Boston Gardens were reputed to be “short rinks” but no one really knew how long they were. The old Chicago Stadium honchos finally admitted that their rink actually measured 188’x85’. And, the Buffalo Sabers played for four years in Buffalo Memorial Auditorium that had a 185’x85’ surface. All this “intimacy” led to a staccato contest, filled with contact, physicality and frequent ugly fighting. And, the custodians of the North American sport loved that aspect of it. Many of them continue to perpetuate the myth that fisticuffs are actually good for the sport and act as a pressure valve that they claim prevent more serious injuries. What these cretins really mean is that many fans come to watch hockey to witness the fights, goonery and mayhem. And fights are therefore good for ticket sales, beer consumption and corporate profits. The reduced size of the rink also alters the esoteric strategy in the Neutral Zone; the area between the Blue Lines. In the NHL the Neutral Zone is 50’ while on International surfaces it is 57’. In those ridiculous contests in Buffalo the Neutral Zone was a mere 35’. The two heroes of the day for the US were goaltender Jonathan Quick of the Los Angeles Kings and T.J. Oshie, who plays for the St. Louis Blues. Quick was stout in the net and held the Russian star, Alex Ovetchkin, scoreless on seven shots, including one in overtime. International overtime rules also produce dramatic hockey. Teams play a five minute period with only four players, plus a goaltender, rather than the usual five, plus a goaltender. Add to this the fact that the US began the overtime period on a power play; we witnessed four skaters playing against three on an oversized ice sheet. Talk about wide open hockey! You have to give kudos to the Russian defenders, who kept the match even despite the numerical odds. Oshie was the man of the hour in the Shootout. The rules require three different skaters in the first three rounds; after that the same skater can shoot over and over again. And, that is what the US coach, Dan Bylsma, did over and over again. Oshie took six out of the eight US shots in the Shootout, converting on four of them. The humble kid from Warroad, MN, population 1,781, quieted the 11,678 partisans at the Bolshoi Ice Dome, including President Putin. Ever since, his “aw shucks” grin has been viral on every form of sports media. READ Interview with Jothy Rosenberg: Who Says I Can’t? One post script is important to note. Putin has invested heavily in these games. The investment has not only been financial [reputedly over $50B] but also with his country’s credibility. He knows that the stereotypical view of Russians by the rest of the world includes the feeling that all Russians over imbibe in all liquids containing alcohol. As a result, Putin has remarkably banned alcohol at all Olympic venues. 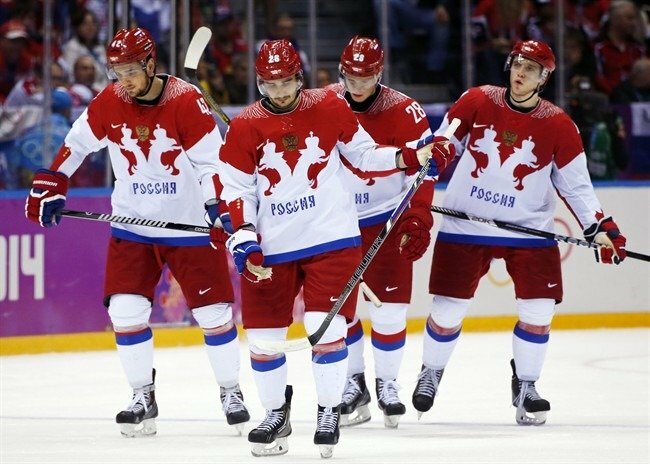 This unprecedented act has resulted in genial behavior and sportsmanship from not only Russian fans but from partisans of all teams. I am sure the reaction of the fans at the US vs Russia match would have been different if they had been drinking. It took a despot to teach us the true Olympic ideals.